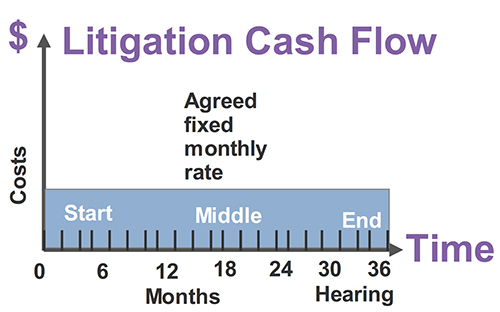 2. the Cash Flow Litigation Package. What is the KickStart Package? For twelve months all your commercial work is done without any payment for 12 months. At the end of the 12 months, you then pay off our fees over the next 12 months by 12 equal monthly instalments. There are other payment options, but we will keep it simple for this explanation. 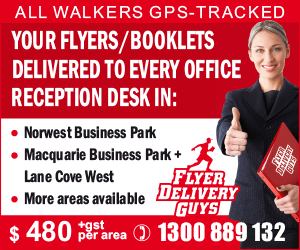 You must pay Government or third-party costs. For example, stamp duty, IP Australia fees, and ASIC or ASIC providers company incorporation fees. Though generously forestalling legal fees we are not a bank and do not provide credit. By taking advantage of the KickStart Package, you get the best legal foundation for your business without having to use valuable cash flow needed to start your business. and any other non-litigious legal work needed during the first 12 months. All you need to have a tremendous legal foundation to kick start your business. For existing businesses, the KickStart Package is also available. 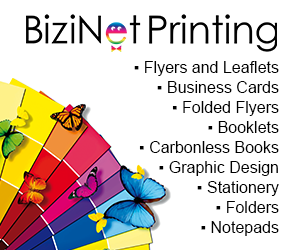 We will review what you have to ensure it is up to date and is the best for you to expand and grow your business. If you started your business and have yet to get a tremendous legal foundation here is how it can be obtained. The KickStart Package excludes litigation or disputes of any kind. The KickStart Package is to lay down your legal structure not fight for it or legal work in fighting to keep it. Also, the KickStart Package excludes any debt recovery work. The KickStart Package allows you to use your resources to make money when you need it now. Legal fees are deferred to a later day when you are better placed to pay them. You get the advantage of having a firm legal foundation for a new business, without the expense of having to trade off needed cash. We get to show you how Etienne Lawyers can add value to your business thereby cementing us as your preferred and go to legal provider. What is the Cash Flow Litigation Package? Litigation is unwanted and a drain on cash reserves. 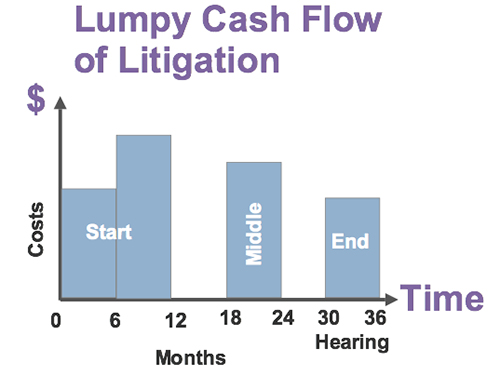 Litigation is a lumpy cash outflow process. Hugh sums are needed at the start in the middle and at the time of the hearing. Finding the case can be difficult for many and impossible for some. See figure 1. To assist in handling the cash flow drain and pain, we have the Cash Flow Litigation Package. The Package allows you to budget on a monthly agreed fee to pay your litigation costs. Barristers fees must be paid at the chosen barrister's hourly rate. Our professional fees are set at an agreed monthly price, with an agreed daily rate for the hearing dates. Knowing the agreed rate, you pay our costs at a constant smooth, manageable pace. You are not looking for funds at short notice. By relieving the cash flow pressure, you have a clearer mind to handle the stress and pressure that litigation puts on those involved in a court case. The monthly fee is paid every month until the litigation ends. In the beginning, we may have to work and charge $3X on an hourly rate basis. At certain times our work will be greater than you pay. At other times the costs paid will exceed the work done. For instance, under the Cash Flow Litigation Package, you agree to pay $0.5X a month. The agreed amount, is paid every month until the litigation ends. Whether a lot, a little or no work is done on your matter in any month, the agreed monthly payment must be paid. By paying this way the lumpiness of funding litigation is smoothed out. It is not eradicated. By smoothing out your legal costs, you are better placed to run an expensive court case. You do not have to forgo your legal rights. You can maintain them and get what you deserve at a manageable monthly cost. The package is depicted in the figure 2. (even in some cases) your cash flow position. As time is money when the hearing is being conducted a further amount per day is charged. Again this fee is known at the outset so it can be budgeted. As with the KickStart Package, third-party costs of barristers, courts and experts have to be paid by you. They cannot be amortised as our fees are. We do not control Barristers fees, or the costs of process servers, accountants, valuers or other needed experts. If value is what you want, value is what we provide. If any of these packages is what you are looking for, then contact Steven Brown to start one of the packages today.